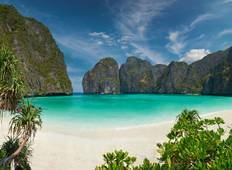 Discover a varied offer of budget beach tours that will take you through some of the most renowned destinations such as and . Each affordable tour will provide you with memorable experiences for some of the lowest prices on the market. "LBW is probably the best company anyone could travel with! Every single one of their..."
"Overall the trip was worth the price. A few things: -The accommodation was at Happy..."
"I had a lot of fun on this tour and the guides definitely contributed to making the..."